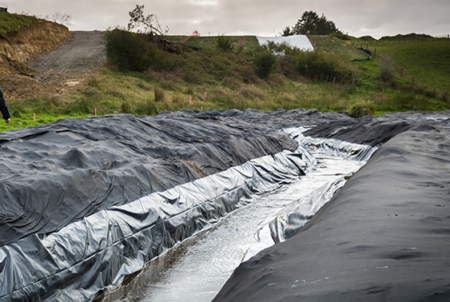 EnviroForce is a UV stabilised nonwoven needle punched geotextile primarily used for Erosion and Sediment control applications. 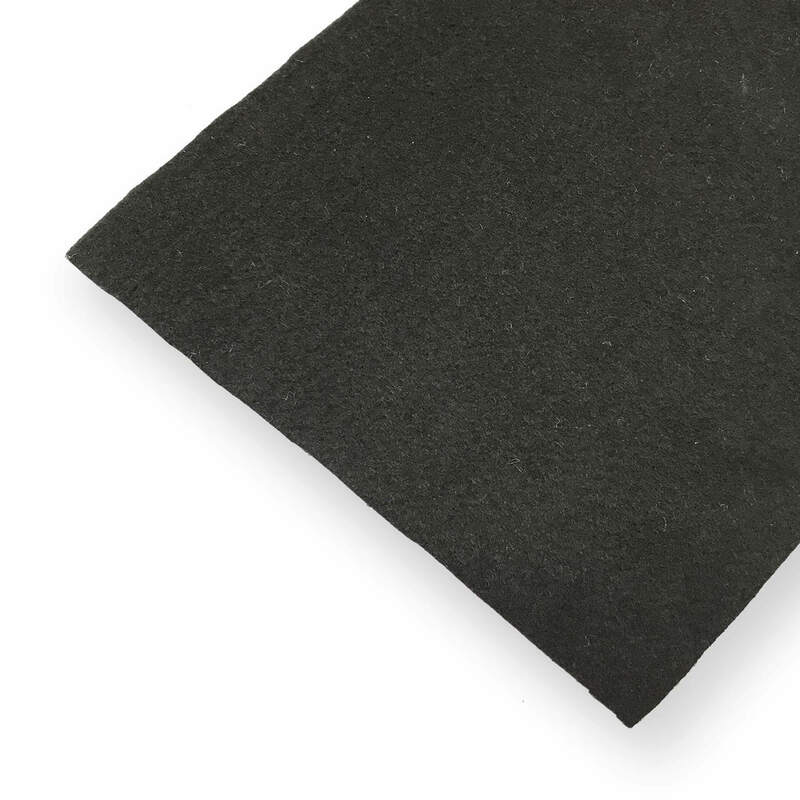 It is is used in many applications for environmental protection, from lining spillways, and sediment ponds, to covering stockpiles. 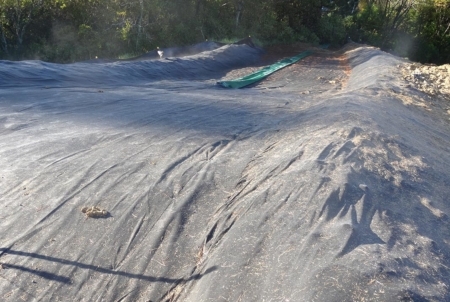 Being black in colour, EnviroForce blends into the natural environment and does not reflect sunlight as traditional white and grey geotextiles tend to. 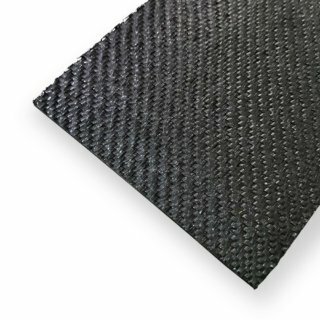 It is recognised by regional councils and local authorities as a suitable product to be used for environmental applications. 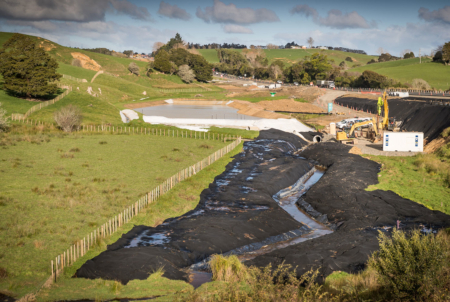 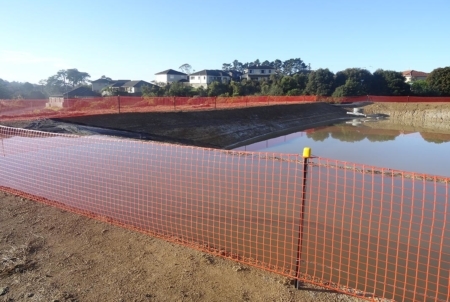 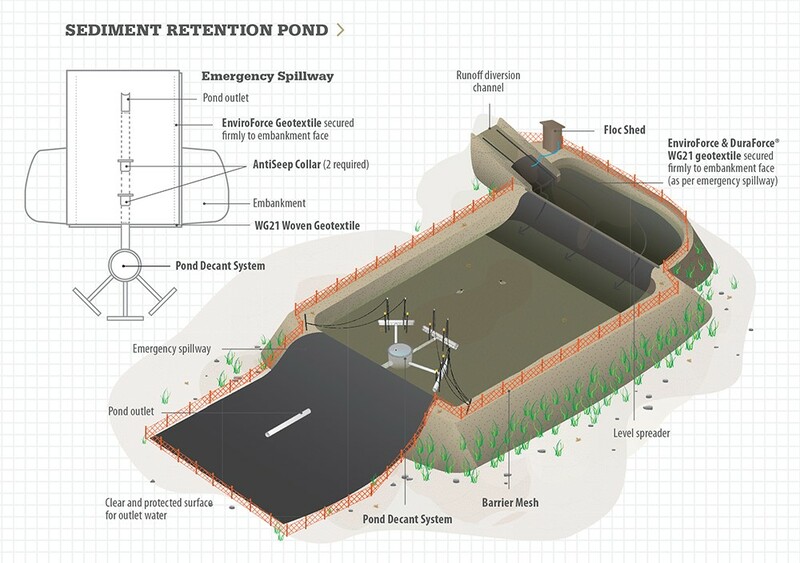 EnviroForce is used in conjunction with DuraForce™ WG21 woven geotextile to create a low permeability spillway and level spreader lining for sediment retention ponds and decanting earth bunds. 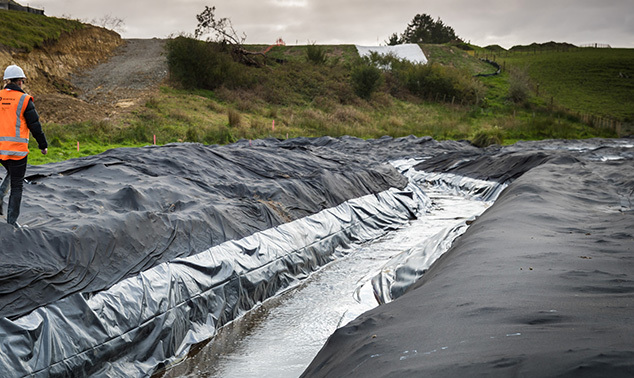 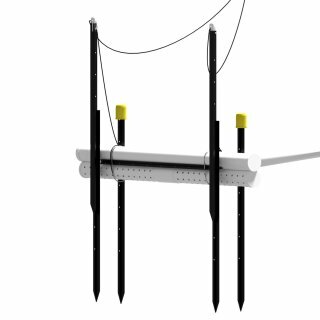 This restricts soakage into earthworks embankments and reduces the likelihood of embankment instability issues caused by saturation. 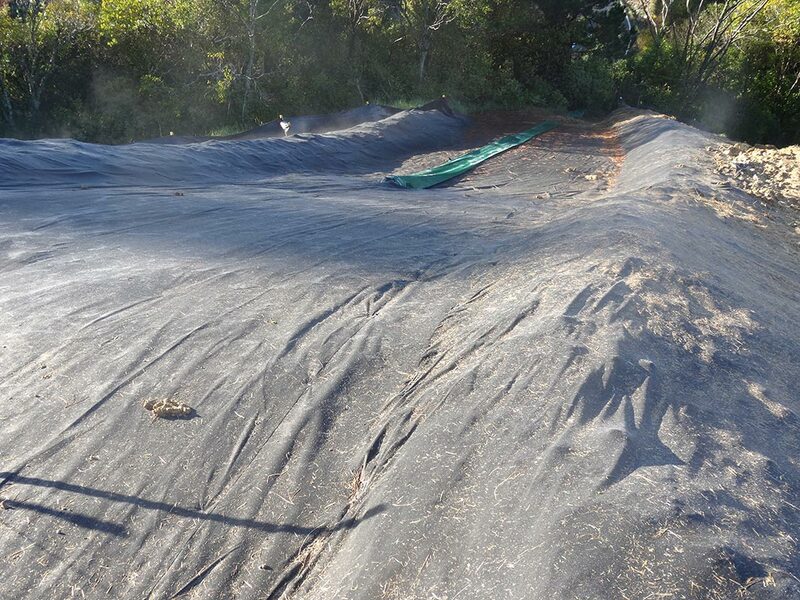 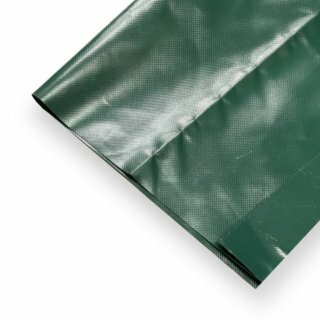 Available in 4m x 50m rolls, EnviroForce is easy for contractors to handle on site. 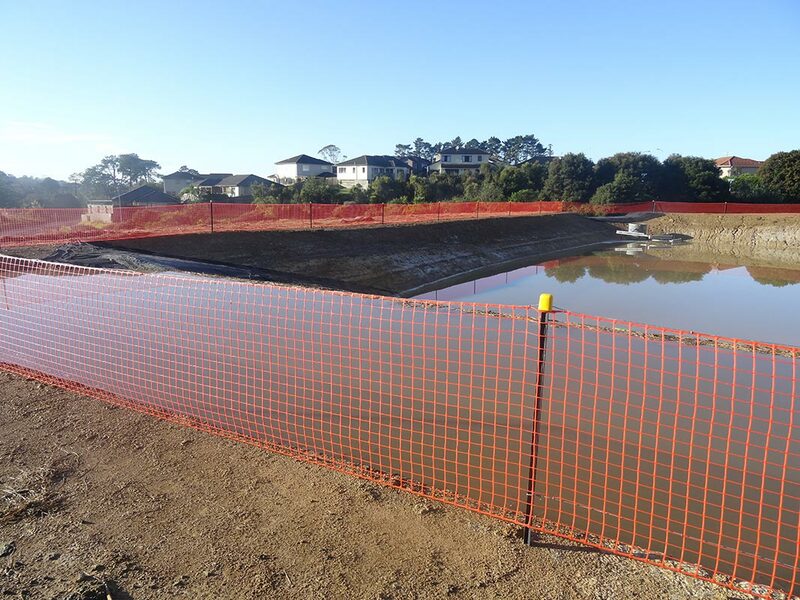 EnviroForce is generally secured to the ground using 130mm or 230mm steel ground staples at a frequency of 1 per m2. 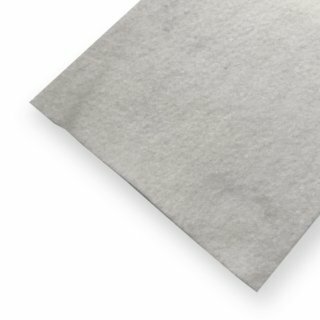 *These documents are current as of 13th June 2017. After this date, it is your responsibility to check that these documents are the most current specifications relating to erosion and sediment control for your desired region.